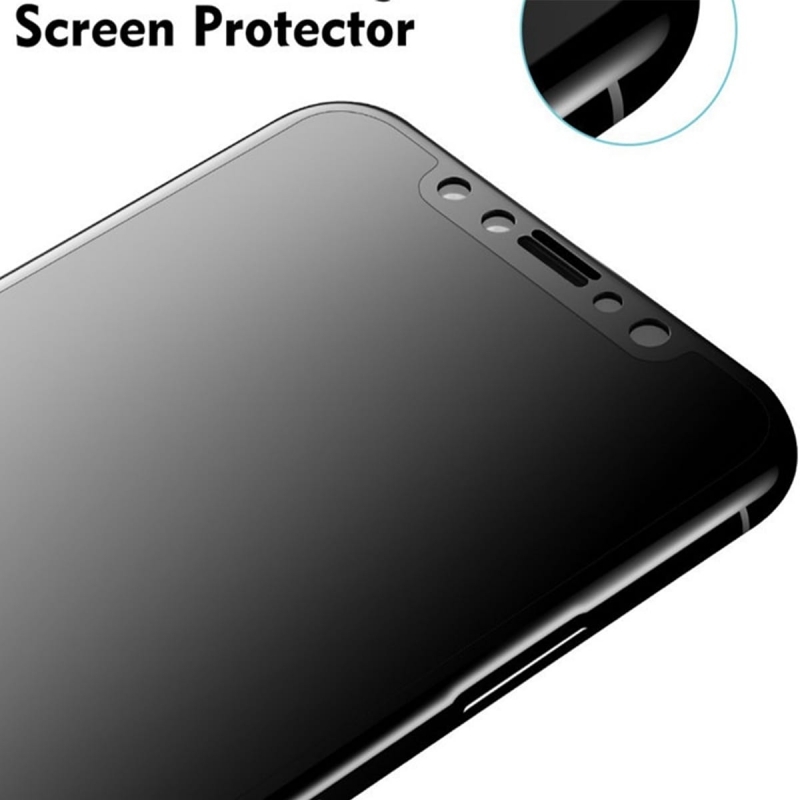 The full-screen protector with privacy filter made of tempered glass has a hardness grade of 9H and protects not only your privacy, but also your iPhone 10 from shocks and other impacts. 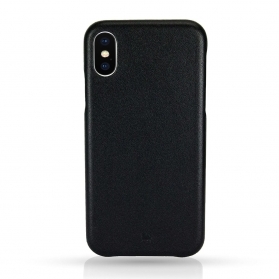 As an iPhone X display protection, the SCREENPROTECT Privacy is the ideal complement to a backcover cover, such as our MENOR Classic iPhone X cover. Our conclusion: Protection that will pay off. 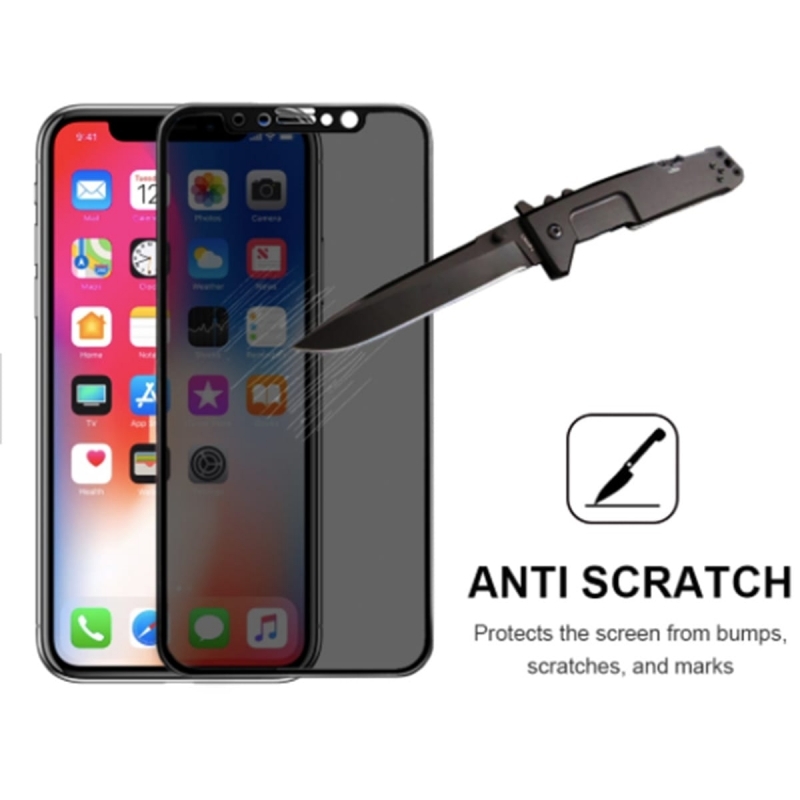 The screen protector is equipped with a privacy filter and thus, it prevents unauthorized persons from viewing the display of your iPhone X. 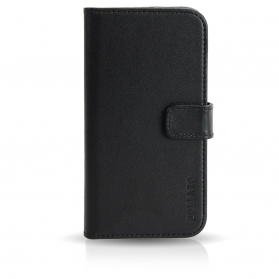 The film has a special design that only the direct user has a clear view on the display. From a different angle, only a dark surface and no content of the screen can be seen. 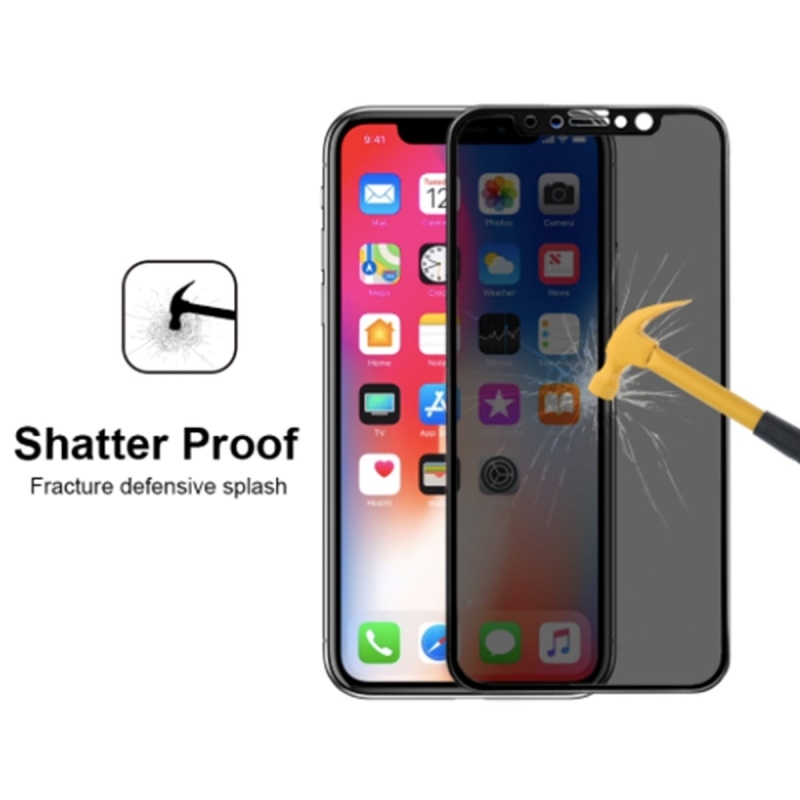 Shatterproof privacy glass is known for reducing the brightness of the display. 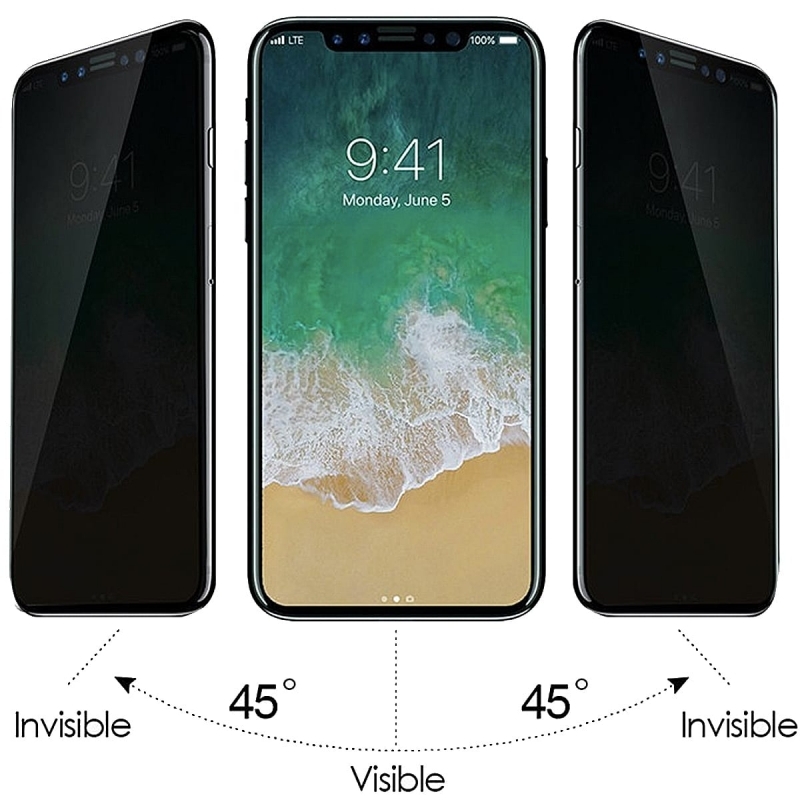 Our privacy screen minimizes the loss of brightness in comparison to the competition and thus, it enables a clear view on the display for the user. 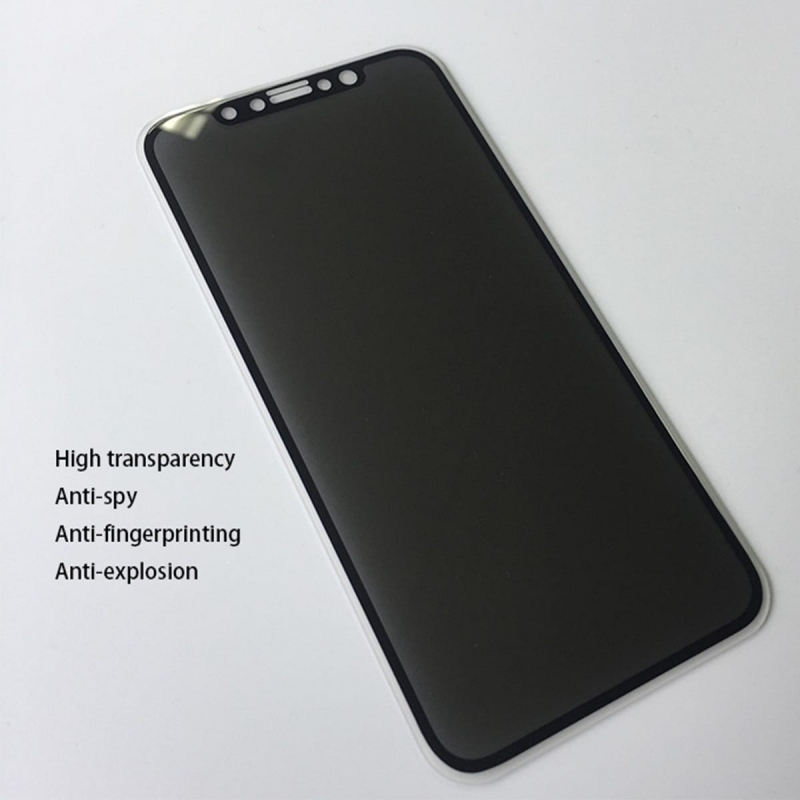 Furthermore, the rounded shape of the protective film makes the icons, pictures etc. on the display even more vivid.